Tots (Rising 3s) – 15 children per morning or afternoon session. On average we have 30 children registered with us. It is never too early to register, as some parents enrol their child before birth. We are proud to operate a first come-first served entry process into our school at Tots and Nursery level. As a result, we recommend early registration where possible. Once an offer of a place has been accepted, induction visits will be arranged close to your child’s starting date. Two-year-olds may enter in the September after their second birthday. The majority of our Nursery children automatically transfer into Reception. On the rare occasions, we have a place in Reception, external applicants seeking admission are invited in for a Taster Session and a short, informal assessment. 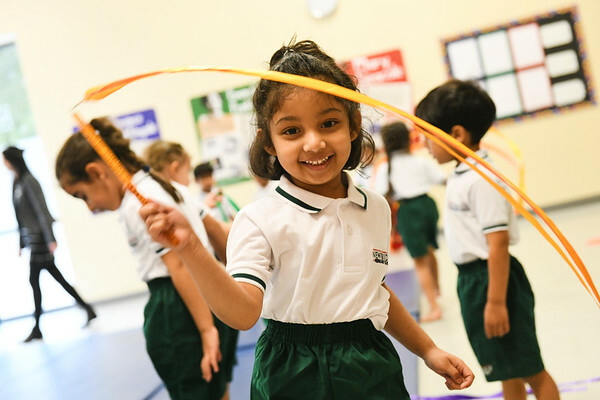 Once a child has been accepted for a place, they will be invited to come into school for an induction morning towards the end of the summer term.